Looking for inspiration for holiday gift ideas for women? 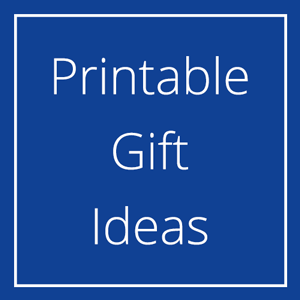 Check out our collection of fun and creative gift ideas below! Make a gorgeous personalized "likes" poster in subway art style using our easy poster generator. Sometimes my readers tell me about the "impossible to buy for" person in their family, who already has everything they need. 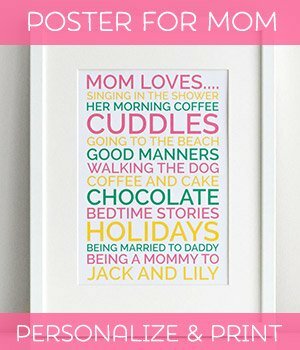 Well, a personalized poster could be just the thing. 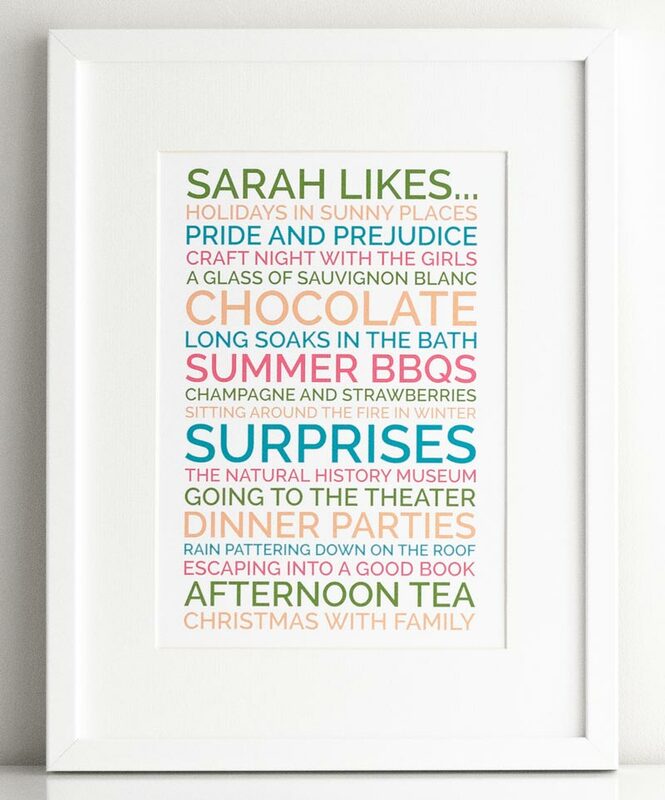 It's more than a gift, really, it's a compliment, because it shows how well you understand that person (by knowing all the quirky things that they like!) and that you've put time into creating something for them. 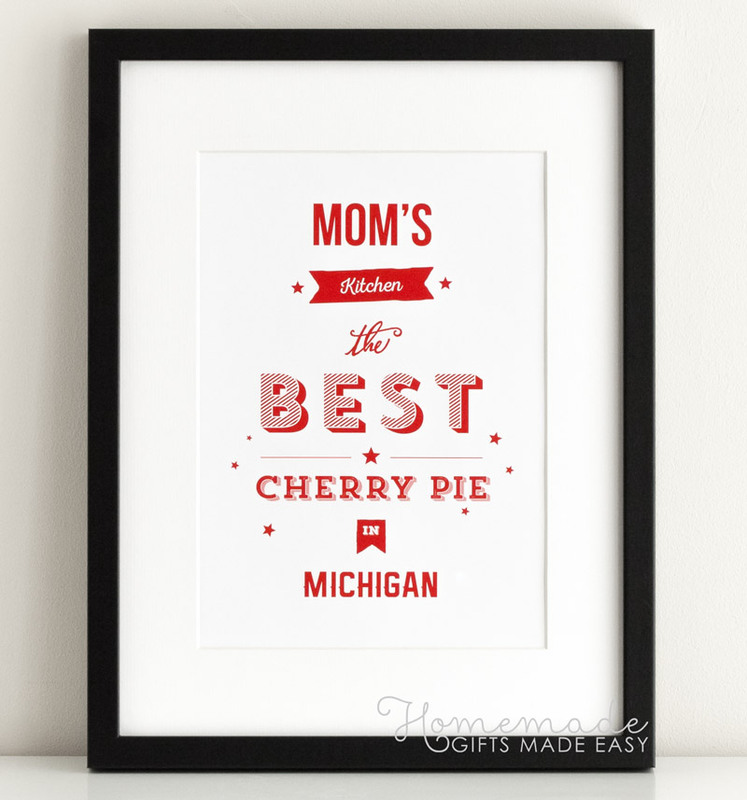 Make a gorgeous personalized "kitchen" poster and celebrate your Mom, Grandma, Aunt or friend's amazing cooking ability! It's so easy to personalize the name, signature recipe and location using our poster generator. Choose from gorgeous color palettes, and personlize, download and print all from your own home! A fabulous last minute holiday gift idea for the women in your life! 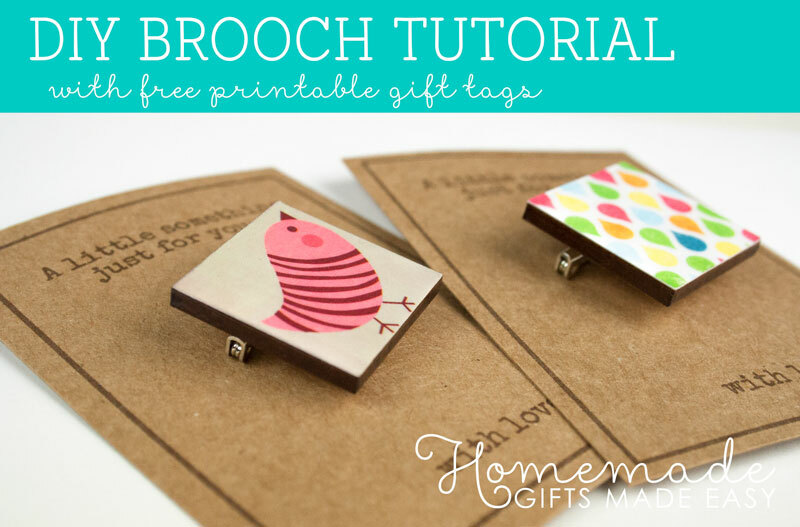 Make a gorgeous DIY decoupage brooch using scrapbook paper and basic decoupage techniques. 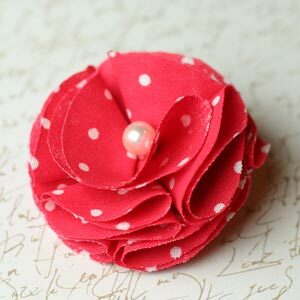 These brooches are so simple and quick to make but look amazing. We've also made free printable gift tags for you to download so you can present your gift beautifully. 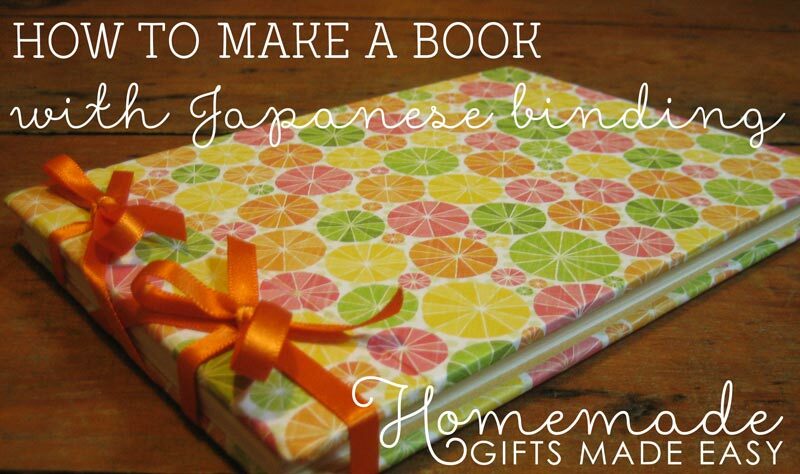 Learn how to make a book and bind it, using the simple "Japanese book binding technique" where a single ribbon holds the entire book together. A journal or photo album made this way makes a beautiful gift, and are both great holiday gift ideas for women. 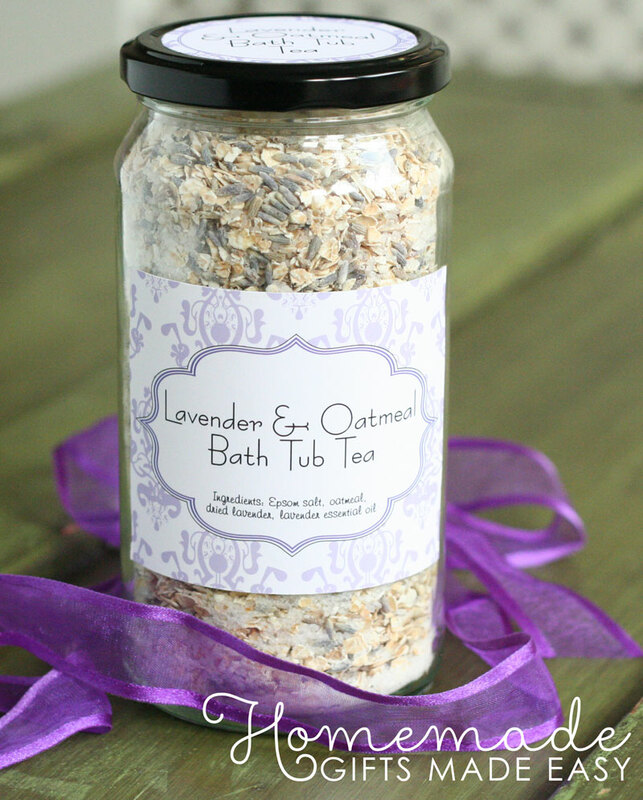 For a twist on traditional bath salts, make our wonderfully relaxing bath tea mixture with oatmeal, lavender and epsom salts. You can present it in a jar, or fill some empty tea-bags for a novel gift idea. These homemade notebooks are quick and easy to make out of a blank notecard or recycled cardboard. 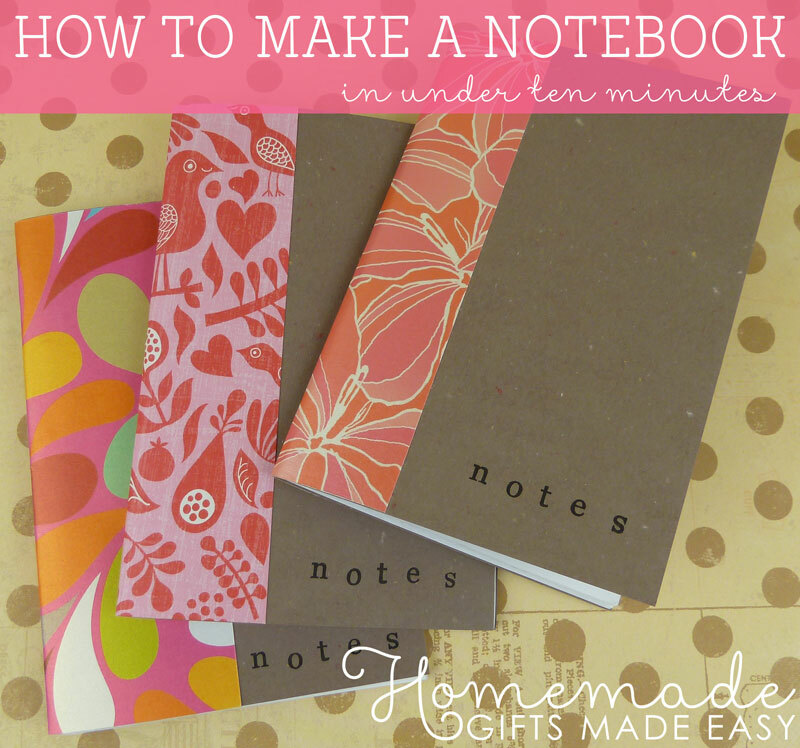 Who doesn't need a little notebook in their handbag? 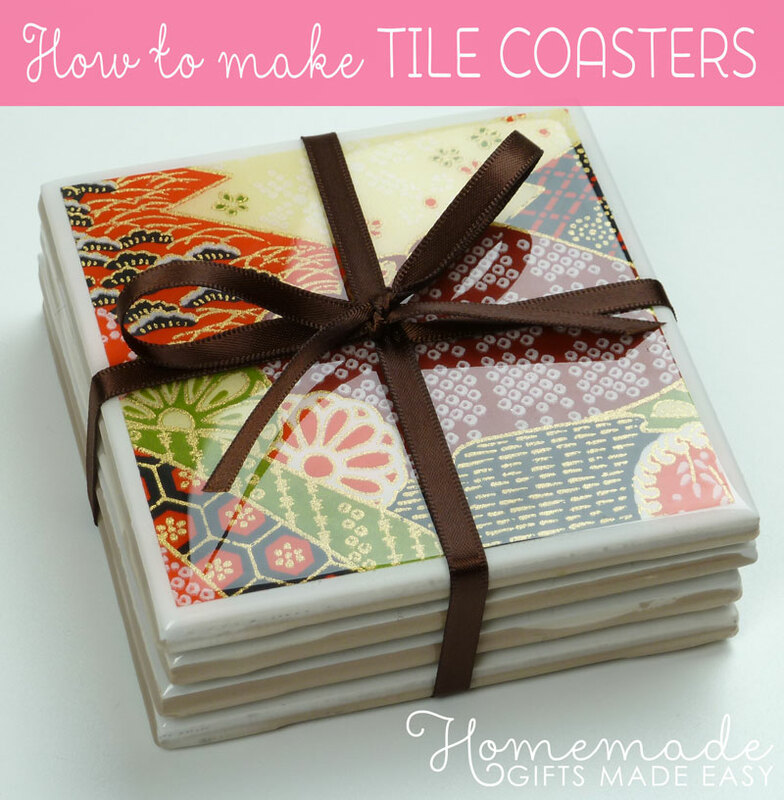 Homemade coasters are great gift for women who like pretty things in their kitchen. They're also perfect for housewarmings. You can decorate them either with scrapbooking paper or photos. I'll show you how to give them a glossy waterproof finish so they'll last and last. 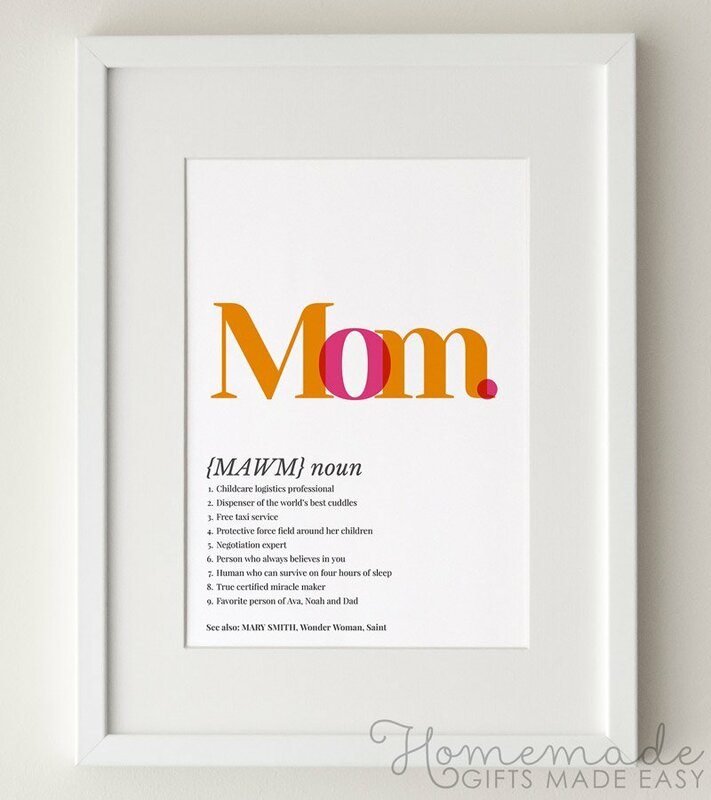 Make a personalized poster that celebrates all the brilliant things about your mom (or your kids' mom). It's easy, with our online poster-generator! Smooth, dark, creamy and delicious... and *really easy* to make. 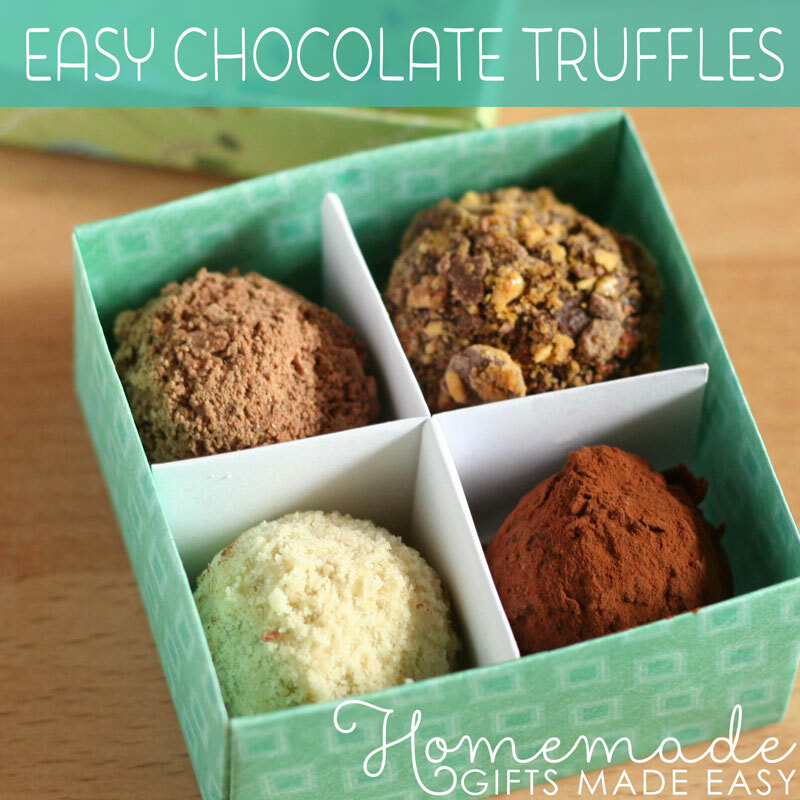 Of all my holiday gift ideas for women, this easy truffles recipe is great to make in bulk and includes instructions for how to make your own gift box to present them in. 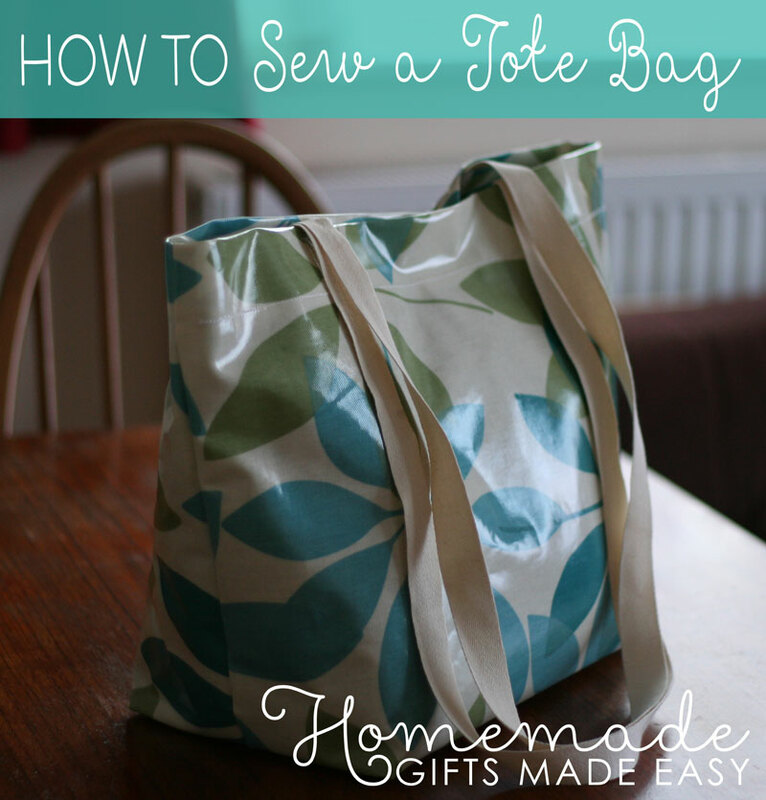 This tote bag is perfect for days at the beach or summer picnics, and it's super easy to sew. 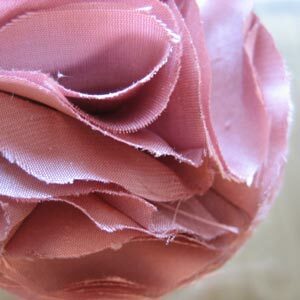 Learn how to make fabric flowers with these easy designs and step-by-step photo instructions. Perfect for glamming up a plain outfit, or use to make a gorgeous hair-clip. There are both sewn or hot-glue methods. 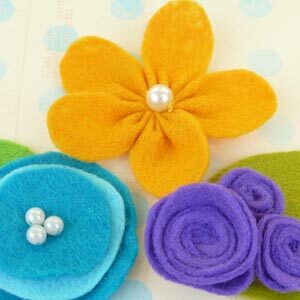 Making felt flowers has become a bit of an addiction of mine recently as they look fabulous but are actually really quick and easy to make! Here I'll show you how you can make three simple designs in a matter of minutes. 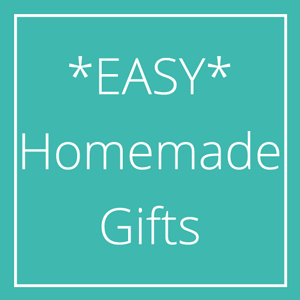 Fabulous for last minute homemade gifts, whether a brooch, hair-clip or clothing. 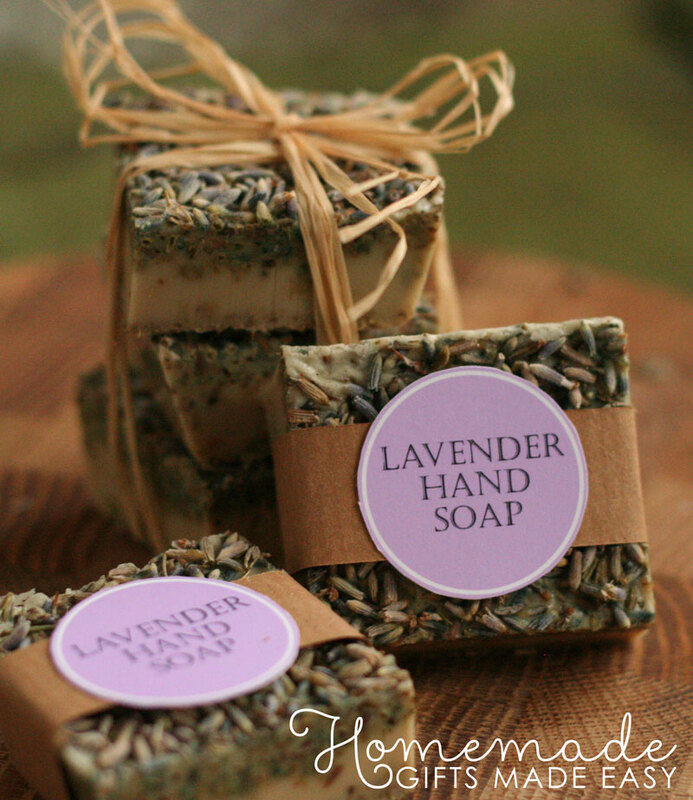 This lavender soap recipe is quick and inexpensive to assemble, and the result is a fabulous homemade gift! 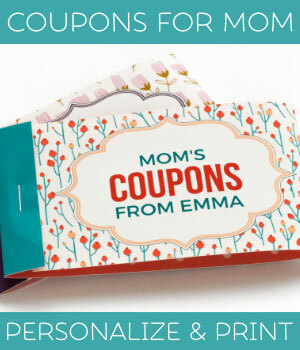 With free printable gift labels to download, it takes the fuss out of thinking up holiday gift ideas for women as it's perfect for all the Aunts, cousins, sisters and your Mom. 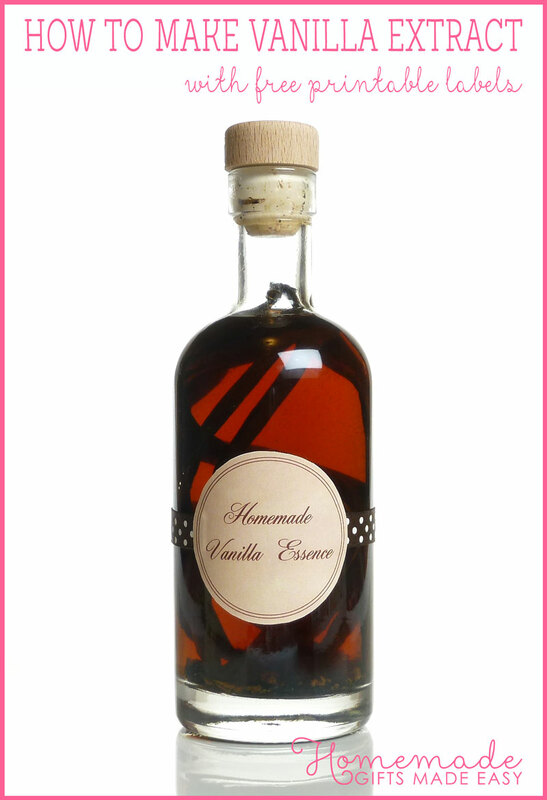 Learn how to make vanilla extract with these step-by-step instructions. The recipe on this page is for full-strength vanilla extract, unlike some of the other recipes we've seen which will just give you vanilla-scented vodka. This is one of those fabulous holiday gift ideas for women, especially all those home bakers and foodie types, and we've even provided a pretty printable label so packaging it up is easy. 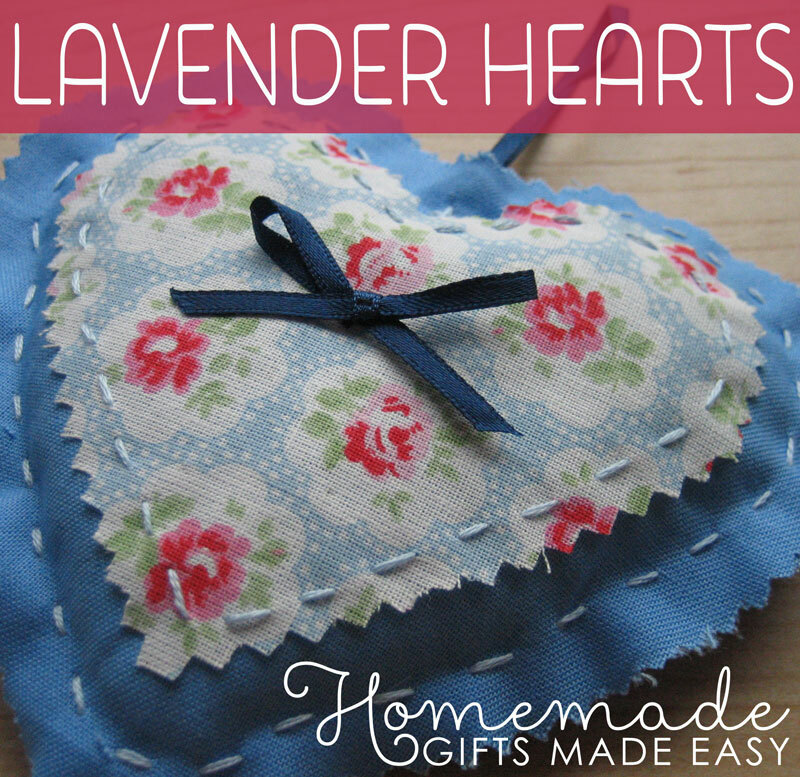 This lavender heart is the perfect gift to sew if you are a complete beginner, or when you just feel like making something cute and easy. 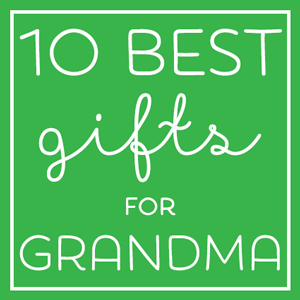 A great holiday gift idea for your Mum or Gran, and make sure you make one for yourself too! They smell divine and look great hanging up around the house. 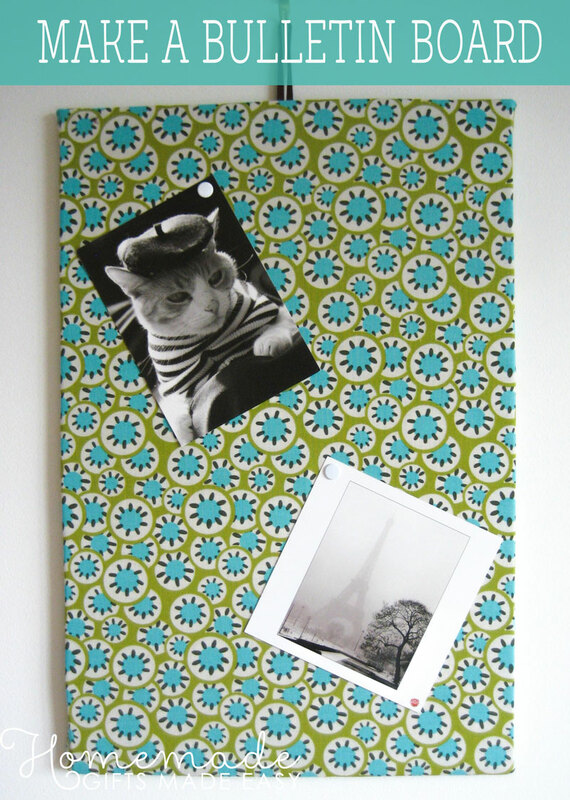 Make a bulletin board covered with funky fabric for your next homemade gift idea. They are super easy to make, inexpensive, and practical! All you need is fabric, thick cardboad, and glue. Take a look at these easy gift collections, perfect for when you're in a rush! I hope you enjoyed my holiday gift ideas for women on this page. You can find more gift ideas on our Wife Christmas Gift Ideas page too. And let's not forget the men in our lives! Check out my page on Christmas gift ideas for your husband for more inspiration.